Japanese power drummer for hire. 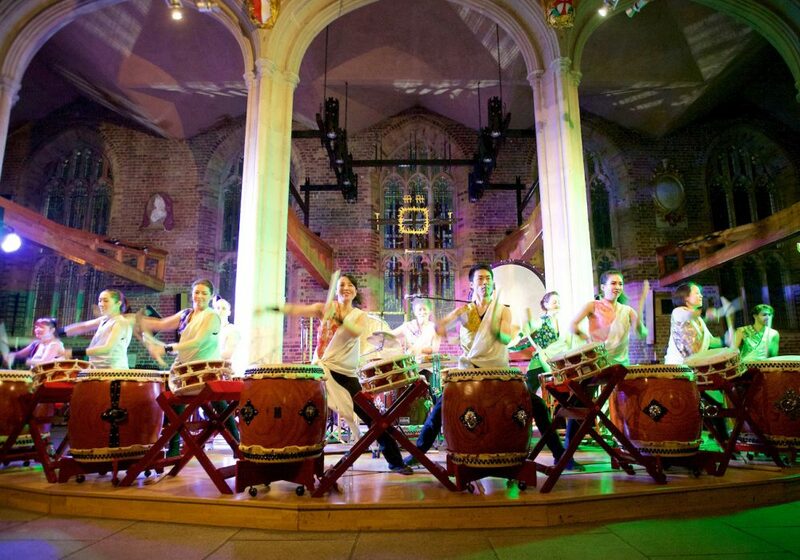 An established and respected performer, renowned throughout the world for pounding displays of Japanese power drumming, solo or with other drummers/percussionists. Joji also performs neo-classical pieces, his own compositions and Japanese folk songs on shakuhachi flute and voice. Joji Hirota was born in North Japan. At the age of eleven he began a lifelong study of percussion and began composing at thirteen, finishing his formal musical training at the Kyoto Municipal Arts University. 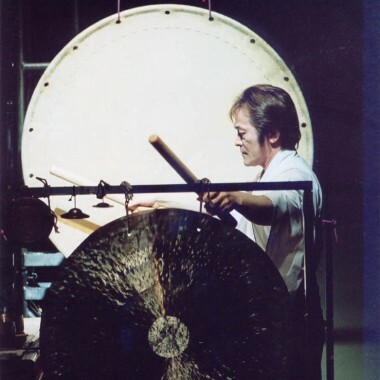 In 1972 he was invited by Stomu Yamashta to become musical director and percussionist of the Red Buddha Theatre, and in 1977 he became musical director and percussionist for the Lindsay Kemp Dance Company. In his career Joji has toured extensively throughout Europe, Mexico, Canada, USA, South America and Japan. He has for over 20 years been living in the United Kingdom. Joji has also been working for WOMAD since 1986, as a solo percussionist and in collaboration with the Chinese flautist Guo Yue. In 1991 a new group Trisan was formed with Joji, Guo Yue and Ireland’s Pol Brennan. The group toured Europe, Canada, the USA and Japan and in November 1992 released their first album which subsequently received Tower Records’ nomination as Best Contemporary Instrumental Music Album. 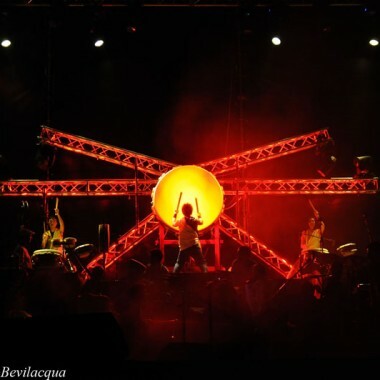 On the Japanese tour the group played a local festival in Hokkaido where Joji was very impressed by the music of Hokkai Daiko, a Japanese drumming group based in Noboribetsu Hokkaido. He spent some time playing with the group and his drumming incorporates elements of their style and spirituality. 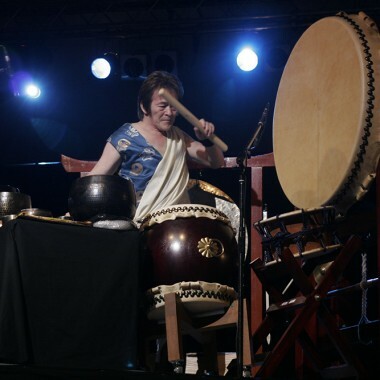 The great master Itto Ohba gave Joji permission to use the name Hokkai Daiko for his drumming, which now incorporates major elements of Taiko, the Japanese power drumming tradition. An album called Red Ribbon with Guo Yue was released in September 1994, and In the same year Joji played the WOMAD Festival in Estonia and the Dranouter Folk Festival in Belgium, appeared at the Jazz Cafe with Guo Yue, worked for Anglia TV and was interviewed and performed on BBC Radio?s Kaleidoscope. 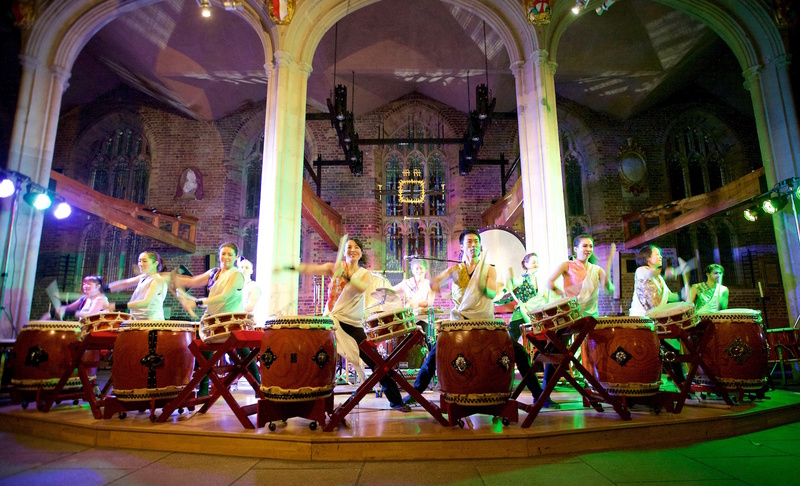 The following year, Joji and Peter Lockett toured the UK, including the Purcell Room as part of the Rhythm Sticks Festival, with Taiko to Tabla, a unique fusion of percussion traditions from all over the world featuring an awesome array of drums, cymbals, gongs and customised sound effects merged into a compelling soundscape. In 1995 Joji composed and recorded again for Anglia TV (Survival) with Anthony Phillips, then performed at the Young Vic Theatre for The Jungle Book. In 1996, the spring and summer saw performances in the UK, Germany, Norway, a tour of Italy, another appearance at the Rhythm Sticks Festival, work for Jah Wobble during an Italian tour, a tour of Europe with Bill Evance, and then Belgium with Guo Yue. Joji also continued to be a regular performer at WOMAD festivals. Joji is now renowned for his pounding displays of Japanese power drumming and, solo or with other percussionists, will transfix an audience with a stunning display of rhythmic and musical strength. In 1999 Joji started working with the London Metropolitan Orchestra and produced the album The Gate (released on Real World). Their subsequent collaboration lasted into 2000s and he toured in Japan with them several times. The Tohoku earthquake and tsunami which hit northern Japan in March 2011 inspired Joji to create Beyond the Requiem, supporting concerts based on his arrangements of Tohoku folk songs. The CD album Japanese Folk Songs II was released in 2013. Joji continues to write and arrange music producing solo albums, collaborating with international musicians and touring with Beyond the Requiem. He was awarded the Ambassador’s Commendation Award by the Japanese Embassy in UK (2003) in recognition of his musical contribution to the world throughout his 30 year career and in 2007, Newsweek voted Joji in ‘Top 100 Japanese Respected in the World’.